THERE’S TWO WEEKS LEFT OF THE SUMMER VACATION FROM SCHOOL AND BARBOUR COUNTY ALABAMA’S SEVENTEEN YEAR OLD LILY MORGAN SETS OUT ON THE ADVENTURE OF A LIFETIME. TRAVELING WITH HER FATHER, DOCTOR JIM, AND MOTHER, NURSE ABBY, THEY HEAD TO A MEDICAL CLINIC IN THE JUNGLES OF SOUTHERN INDIA TO VOLUNTEER THEIR MEDICAL SERVICES. ALSO JOINING LILY ON THE TRIP IS HER BEST FRIEND ALLY AND HER PARENTS. LILY, THE STAR OF HER HIGH SCHOOL SOCCER TEAM, SOON BEGINS TO HAVE DREAMS OF A BEAUTIFUL PRINCESS AND A FIERCE WHITE TIGER. BEING KIND AND CARING, LILY TRIES TO IGNORE THESE DREAMS AND CONCENTRATE ON TREATING THE PATIENTS AT THE CLINIC. IT ISN’T LONG AFTER ARRIVING IN INDIA THAT LILY MEETS THE BOYFRIEND THAT SHE HAS ALWAYS HOPED FOR. DANGER SOON APPEARS AND LILY IS FORCED TO TAKE ON A ROLE THAT SHE NEVER THOUGHT SHE WOULD HAVE TO FACE. ARE THE DREAMS A SIGN OF THINGS TO COME? WILL LILY MAKE IT HOME FOR HER SENIOR YEAR OF HIGH SCHOOL? JOIN LILY ON THIS QUEST AROUND THE WORLD TO FIND OUT. INCLUDES PREVIEW OF FORTHCOMING BOOK TWO. 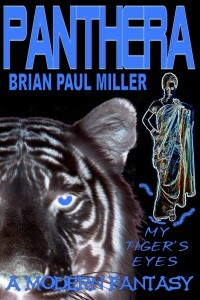 THE FOLLOW UP TO PANTHERA MY TIGER’S EYES.